A portion of property from Vermont’s former Burlington College sold Wednesday in a foreclosure auction, to the sole bidder, for $3.1-million. The buyer was People’s United Bank, which is owed money from the now-defunct school. The bank still needs approval from the civil division of the Vermont Superior Court’s Chittenden division to close the sale, said Matt Carter of People’s United Bank. The parcel auctioned Wednesday consisted of a 29,500 square foot building, six acres of land and development rights. Assuming it receives that approval and obtains the title to the property auctioned off Wednesday, the bank is likely to turn around and unload the parcel of land and any structures on it. “A sale would generally be looked for by the bank,” Carter said, acknowledging the business models of most banks do not tend to include holding onto property. The foreclosure auction came as federal investigators are reportedly taking a close look at Burlington College and the $10-million land deal that greatly expanded its campus. Back in 2010, Jane Sanders was the college’s president. She’s the wife of Vermont Senator Bernie Sanders, an independent who unsuccessfully ran for U.S. president as a Democrat. Critics of Jane Sanders suspect she got a loan for the prime real estate on North Avenue in Burlington, overlooking Lake Champlain, by overstating donations the college was promised — money that never came. Burlington College folded in 2016, under a different president, because the school was burdened by debt and lacked sufficient tuition revenue to support its new, larger operation. The Associated Press reported the office of Vermont’s U.S. attorney won’t confirm whether the matter of the loan is being investigated. However, the AP also reported that former college officials say they have been questioned formally by federal agents. Vermont Digger, an online investigative news organization, and the newspaper Seven Days have aggressively covered the situation at the former college. Both outlets have interviewed former college employees who told them they were approached by FBI agents seeking information pertaining to an investigation. Last month, Jane and Bernie Sanders acknowledged they had hired lawyers, the AP wrote. GOP power player Brady Toensing pushed for a fraud probe. In a letter sent in January of 2016 to the then U.S. Attorney for Vermont, Toensing claimed there was real harm done to the community by the problems at Burlington College. Toensing singled out the charitable Roman Catholic Diocese of Burlington as one entity that was affected, because it sold the land to the college and lost out on hundreds of thousands of dollars in interest, he wrote. Toensing wrote that he hopes Jane Sanders will not be able to rely on her prominence and political connections to avoid the scrutiny and accountability that would come from a federal investigation into what he described as apparent financial misconduct. “That is an absolute lie,” countered Sanders in a recent appearance on “All In With Chris Hayes” on MSNBC. Sanders has defended his wife as supremely honest, saying during her tenure, Burlington College got better. He dismissed this as a politically-motivated smear campaign led by Toensing, whom the Vermont political icon said was a key figure in President Donald Trump’s election effort in the Green Mountain State. “That’s what you expect from the Trump administration and people associated with Donald Trump,” Sanders told Chris Hayes of Toensing’s approach to going after his wife. “This is another notch in Brady’s belt, a waste of time and a politically-motivated attack,” Casey said. As the reported investigation continues behind closed doors, developer Eric Farrell said he expects to buy the portion of the Burlington College property which People’s United Bank bid on Wednesday. “Hopefully, we’ll buy it from the bank sometime this fall,” Farrell said. Farrell said he plans to add hundreds of mixed-style housing units on the site, as well as some commercial space. He already bought much of the former campus, turning a building on an adjoining parcel into upscale apartments. “It’s an unbelievable piece of property,” Farrell said, smiling. 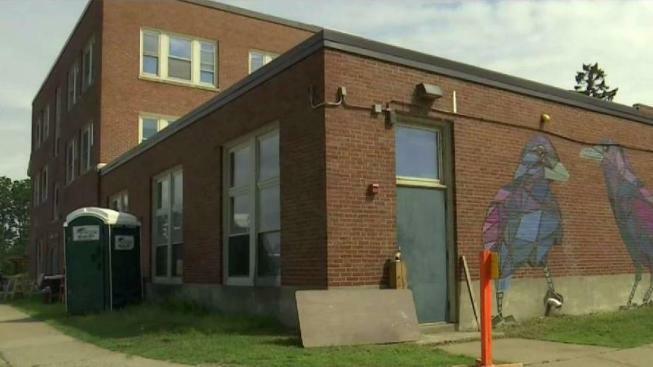 The developer says he knows little or nothing about the Feds’ reported probe into the property’s past, adding he’s primarily interested in its future, to add to the housing options in Burlington.